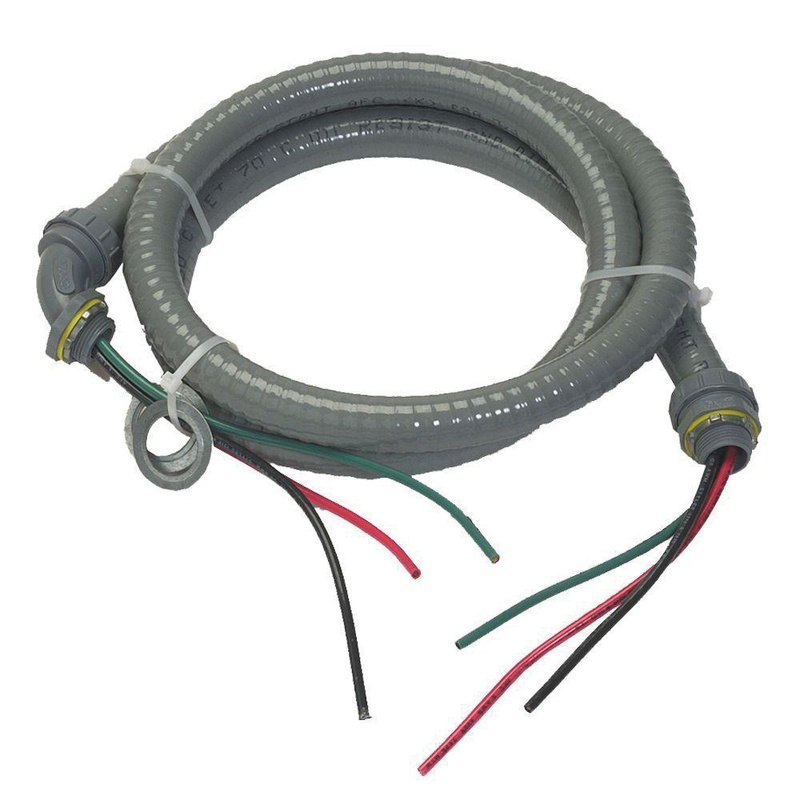 AFC Cable Systems TYPE UL® Type LFNC-B 6-ft liquid-tight non-metallic whip accommodates 10/3 conductors. It has THHN/THWN insulation. It has voltage rating of 600-Volts. It withstands dry temperature rating of 90 deg C and wet temperature rating of 75 deg C. Whip meets NEC standards.